As followers to Jesus we’re called to a lifelong discipleship walking in his footsteps. Our greatest asset in this walk is Gods own Word - the Bible. 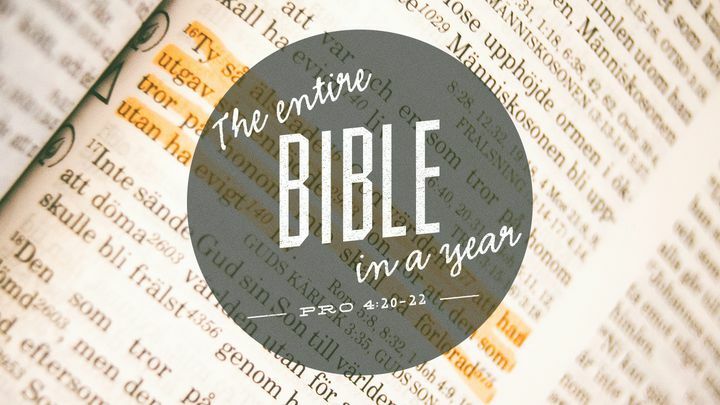 This reading plan guides you through the entire Bible in one year reading every verse, chapter and book one time. You’ll read from OT and NT everyday and a chapter from Psalms or Proverbs every second day.